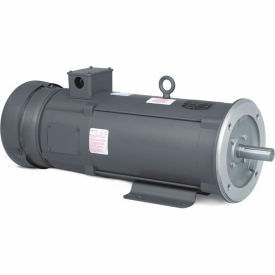 Baldor-Reliance has designed a Permanent Magnet DC Motor with an integral 50 VDC per 1000 RPM precision tachometer. 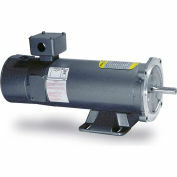 Its compact design fits into many locations where a conventional motor won't fit. Plus it is less costly than buying the motor, tach kit and tachometer. Applications include precision metering pumps and tensioning. Conveyors and metering pumps where precise speed regulation is required.